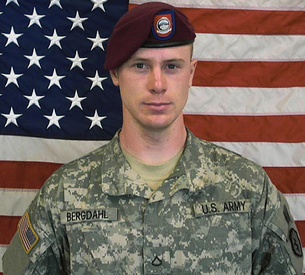 The Washington Times reports on the upcoming court-martial of Bowe Bergdahl. WASHINGTON (AP) - Army Sgt. Bowe Bergdahl will face charges of desertion and misbehavior before the enemy in a general court-martial, said an attorney for the captured soldier who was released by theTaliban in exchange for five detainees in Guantanamo Bay. Attorney Eugene Fidell said Monday the convening authority - a high-ranking officer charged with deciding whether evidence warrants a court-martial - did not follow the advice of a preliminary hearing officer. The officer had recommended that Bergdahl’s case be moved to a special misdemeanor-level military court. As former JAGC LDO, I know desertion is hard to prove. This will be interesting.